The country benefits from an “Everything but Arms” (EBA) status, which allows the world’s poorest countries to sell any goods tariff-free into the EU, except weapons. Sao Run is worried that if the clothing factory where she works closes down she won’t be able to feed herself and her son. A 34-year-old widow, she has spent almost 13 years making coats and jackets at a facility on the outskirts of Cambodia’s capital, Phnom Penh. With overtime she can earn up to $250 (£200) a month, but the future of the workshop and others like it in the country is now uncertain due to a continuing political dispute between the European Union (EU) and Cambodia. Cambodia’s garments manufacturing sector has boomed in recent years, in no small part due to the EU granting the country’s exports tariff-free access to Europe, starting back in 2012. This has led to about 200 international fashion brands now using more than 600 factories in the country, lured by both the country’s low wages, and the fact they don’t have to pay any duties when exporting to the EU. 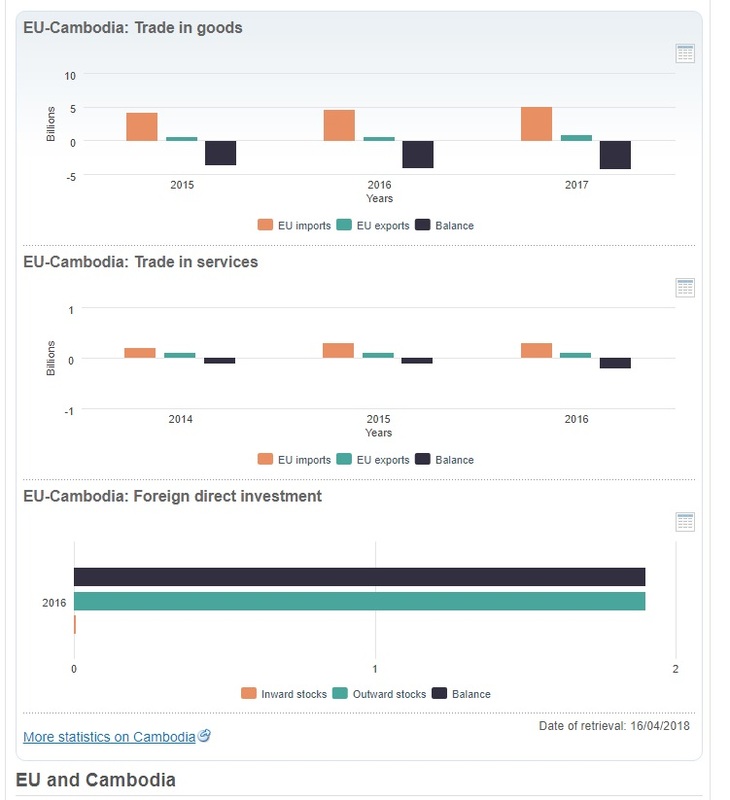 However, at the start of October the EU warned that Cambodia’s tariff-free access to the European single market could come to an end if the government did not improve political freedom and human rights in the country. 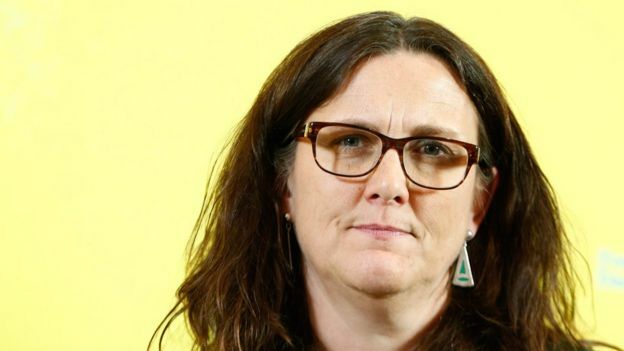 EU Trade Commissioner Cecilia Malmstrom said that the EU was launching a six-month review of the situation in Cambodia, and that unless Phnom Penh showed “clear and demonstrable improvements, this would lead to suspension of trade preferences” within 12 months. Her comments were a response to what both the EU and US see as increasingly autocratic behaviour by the Cambodian government of Prime Minister Hun Sen, who has been in power since 1985. 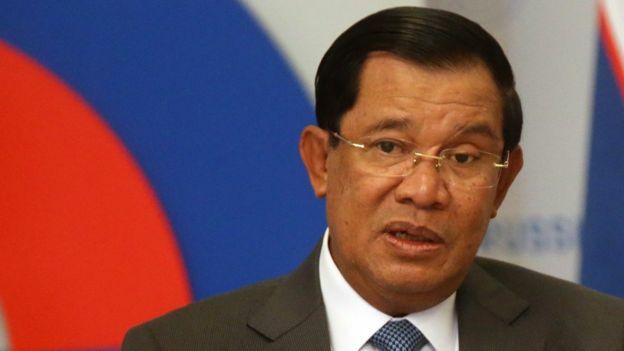 In July his Cambodian People’s Party won all 125 seats in parliament, helped by the fact that the main opposition party – the Cambodia National Rescue Party (CNRP) – was officially shut down by the country’s Supreme Court in November 2017. The court ruling was based on a complaint by Hun Sen’s government that the CNRP was conspiring with the US to overthrow it, something it denied. 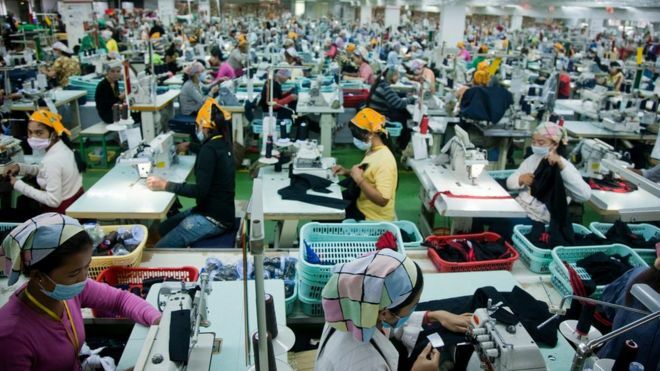 Ken Loo, secretary general of the Garment Manufacturers Association in Cambodia, says that the EU’s threat has “heightened concerns” that international fashion firms could take their manufacturing business to other countries. This would be a major concern for Cambodia when you consider the numbers involved. Mr Loo says that the industry employs more than 700,000 people, 85% of whom are women. Meanwhile, official EU figures show that Cambodian clothing exports to Europe reached €3.8bn ($4.3bn; £3.4bn) in 2017. That is 44% of all Cambodia’s $9.6bn exports last year. 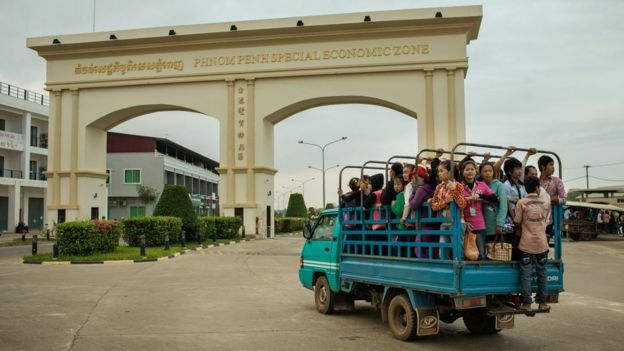 No wonder then that there are fears over the possibility of significant factory closures and job losses, not only if the EU does end Cambodia’s tariff-free status, but simply as a result of the threat. George McLeod, an economic and political risk analyst based in Bangkok, says that Western clothing firms could easily switch production to Bangladesh, Vietnam or Indonesia. For Sao Run, who has a three-year-old son to support, this is now a real concern. “The local union in our factory told us that the factory could close if the [EU] taxes are high,” she says. Will Opec defy Trump’s call for low oil prices? Another clothing industry factory worker, Yon Chansy, 24, says that she found out about the EU’s threat via Facebook, and that she is also now worried she may lose her job. “I could consider migrating to Thailand if the situation in our country is very bad,” she says. For its part, the Cambodian government may now be prepared to compromise, but whether it does enough remains to be seen. Last week the country’s parliament (in which the government holds all the seats) said it would review a ban on more than 100 members of the opposition CNRP, but no timetable was given. Nor was there any indication of whether fresh elections would be held, or if the leader of the CNRP would be released from house arrest. Sebastian Strangio, journalist and author of a book called Hun Sen’s Cambodia, says the Cambodian government faces a real dilemma over the EU issue. “The problem is that the ‘clear and demonstrable improvements’ the EU is demanding would, almost by definition, weaken Hun Sen’s hold on power,” he says. “This he will never accept. It is therefore hard to see how the two sides will find common ground. Any concessions the Cambodian government makes will fall short of meaningful democratic reforms. A source at the European Commission says the announcement that the ban on the Cambodian opposition might be lifted was “a first positive step”. “However, this needs to produce concrete and substantial results to alleviate the EU’s serious concerns. The implementation of this announcement and concrete changes on the ground would be among the deciding factors,” she added. Tieng Ratana, a mother-of-three who works at a clothing factory to the west of Phnom Penh, says she hopes that the Cambodian government will think of people like her. “We work very hard, so I really want our leaders to think about the workers first,” she says.